Okay, millennials. Strap yourselves in, because I’m going to attempt to meme. Is meme even a verb? Perhaps not, but that isn’t going to stop me. For older readers who don’t really know (or care) what memes are, don’t worry – I’ve got you covered. 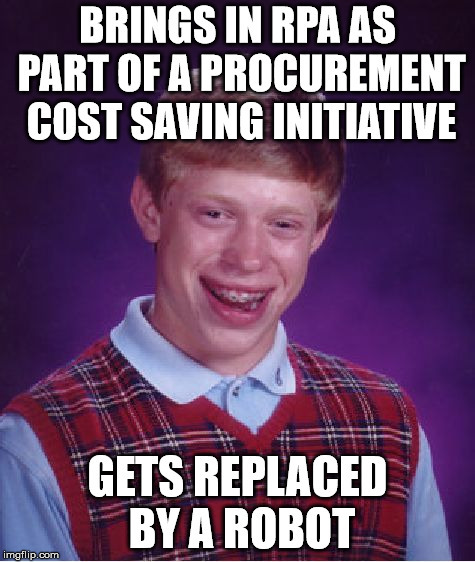 Whether it’s Bad Luck Brian, Kermit Sipping Tea, or King Leonidas screaming “SPARTA”, I’ll attempt to add a bit of context around the meme before applying a Procurement gripe to each. Since The Fellowship of the Ring, Boromir (Sean Bean) has become a meme, trotted out as a retort whenever someone suggests something that’s impractical, unrealistic, or simply a bad idea. Procurement professionals LOVE robotic process automation. Think of all those humans doing repetitive tasks at your organisation that could just as well be done by a robot. It’s a cost-saving no-brainer, right? Bring in the bots! Great idea – until it happens to you. Stills of row between father and son from the reality show American Chopper have recently become internet hits. 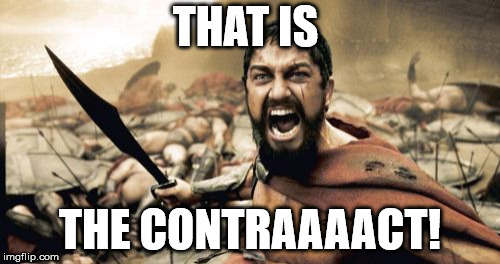 The meme format lends itself well to any internet argument – whether it’s a discussion about the best pizza toppings, or a protracted “debate” in an academic journal. This has to be my favourite meme of all due to its simplicity. A man walking down the street turns to leer after a woman walking past while his girlfriend stares at him with an appalled look on her face. 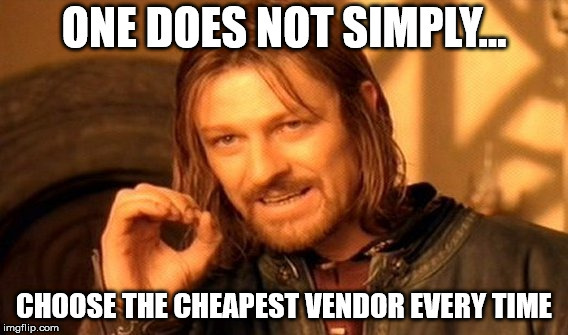 We’re about more than cost savings!! Really! I’ve heard this sad story again and again. Procurement professionals are eager to show their organisations that they’re more than a one-trick pony. 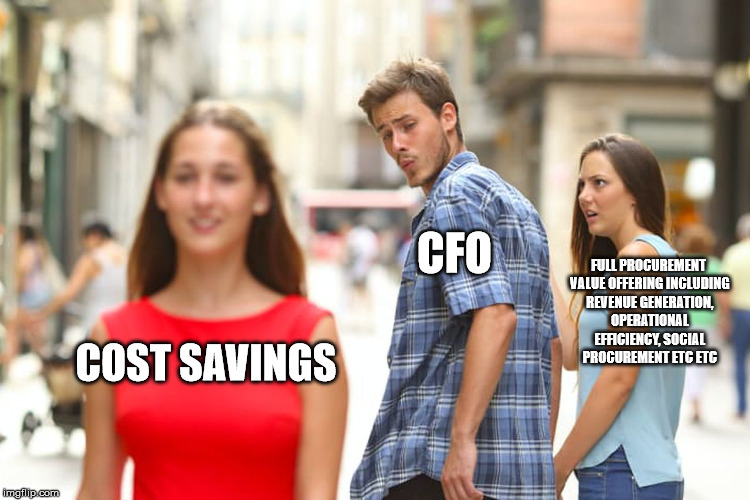 We talk about how we can improve operational efficiency, bring in CSR & social procurement initiatives such as fighting modern slavery, and even generate top-line growth, but it’s incredibly disheartening when the boss (usually a CFO) only cares about one thing… cost savings. The film 300, a retelling of the Battle of Thermopylae in the Persian Wars, contains a gem of a scene where the Spartan King Leonidas loses his patience after being threatened and insulted by a Persian envoy. The envoy, suddenly in fear of his life, says “This is madness” before Leonidas responds with: “This is SPARTA” – and kicks him down a well. It’s an intense moment, as the Spartans know that the murder of the envoy makes war inevitable. 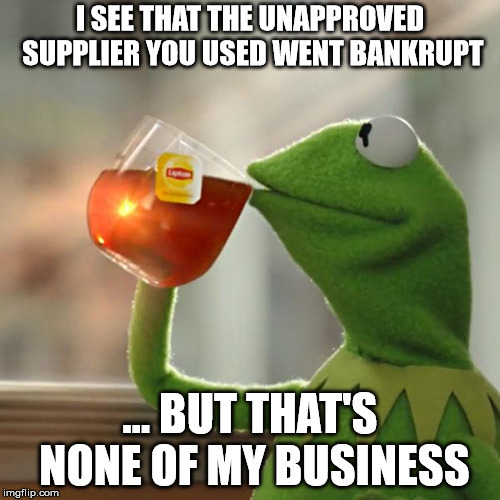 I’m really not advocating the murder of suppliers, but there are moments when you do have to remind them of the terms of a contract. This meme is particularly useful if you want to be facetious. Kermit the frog, calmly sipping a glass of Lipton tea, has lent himself to many a captioned meme ending with the phrase “… but that’s none of my business”.